The Department of Commerce has evolved as one of the flagship departments of University of Balochistan. The department has been instrumental in providing the young learners with a profound understanding of theoretical and practical aspects of the Commerce as a discipline and a real life phenomenon. Since Inception (1973) the department has crossed milestones of its growth and development. Starting with undergraduate studies, the department has gradually built B.Com and M.Com programs. The department unfolds viable educational environment that tend to fester both research and analysis skills of the students. Seminars, debates, dialogues, and workshops have been conducted by the department to develop cadres of quality human resource in the domain of commerce, industry and business at local, national and international levels. The Department, in keeping with the advances made in different branches of commerce, has revised the curriculum from time to time. The last revision of curriculum has taken place very recently in 2016. Under the new curriculum, the Department has upgraded to the system of semester-based teaching. Currently, M.Com. Program run by the Department both in the Morning and Evening Sessions, offers 19 Core courses 04 Elective / Specialization courses and a Research Project. 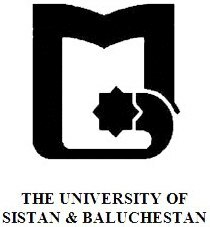 M.Phil and PhD program have also been structured to cater the need of Balochistan in area of Commerce & Business. Leadership and faculty of the department are seeking ways to enable the students to be the business leaders, Managers, Entrepreneurs, Auditors, Bankers etc. of tomorrow, this approach would definitely lead students towards their targeted job market and make their way clear towards the destination of professionalism. Alumni record validates that major portion of provincial workforce in the business and banking sectors have already been graduated from Department of Commerce, UOB, either at bachelor levels or Master levels. The Department intends to be one among the centres of excellence in Commerce and Business Education and Research in the country. The Department strives to impart quality education in the area of Commerce and Business reinforced by experiential learning administered to students who will play significant and productive roles in the development of the Pakistan’s Economy within the global business environment. To provide updated, well informed and fresh knowledge base through up-dating the curriculum of the study programs so that to meet the leading regional and global challenges and harness the opportunities opening in the wake of China-Pakistan Economic Corridor (CPEC) at national and particularly provincial level. To develop an environment stemmed in learning and education of the commerce and business for cadres of students from diverse backgrounds so that high quality of human resource could be created through opening study programs of B.S (four year program), M.Com program, M.Phil and PhD programs.  Audit & Accountancy Firms.  Federal & Provincial Audit Departments.  Industries & Commerce Department.  Local and Multinational NGO’s.  Public and Private Sector Organizations.